Are you an a Startup, Co-working space, Investor, Venue Provider, Incubator or just another player involved in the startup scene interested in accessing more information about the Kingdom’s startup ecosystem? Well, Geeks In Cambodia just has the thing for you! 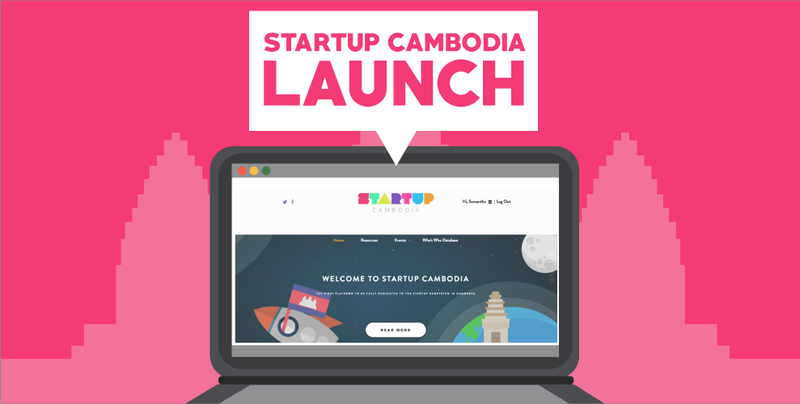 Just last week, we finally launched our brand new interactive and project, Startup Cambodia! Startup Cambodia is an online, interactive and collaborative platform that aims to provide easy and free access to accurate, up-to-date and valuable information, as well as data, in regards to the startup ecosystem in Cambodia. The platform covers 3 different objectives – Connecting, Supporting and Informing all the relevant players in the ecosystem. Equipped with valuable features and extensive information, we hope to positively contribute to the scene by helping to broaden the understanding and knowledge of anything and everything startup related. A Resources section filled with step-by-step infographics to equip you with the necessary skills and knowledge to soar as a startup entrepreneur. So what are you waiting for? Celebrate with us and be part of our startup community by visiting us at www.startup-cambodia.com! Also, if you are a player in the startup scene, do not forget to contribute by registering your particulars in our database; so we can all work together in forming a stronger and more collaborative ecosystem in the Kingdom.